April is the first official month of spring, a time when all of New York City’s parks start to bloom – with greenery and people – and when rooftop bars across the city re-open their doors. Generally speaking, New Yorkers are going out more than they have in all of 2019 this month – and so should you! No idea what to do? Don’t worry: Here, we list a few activities you won’t want to miss out on this month! We’ve waited long enough: The well-known Smorgasburg in Brooklyn finally opens up again this month. From this weekend on, you can visit your favorite food market in Williamsburg on Saturdays and in Prospect Park on Sundays. Just be prepared to overeat, because the food will be as delicious as always. In for some super cheap – a.k.a. free – fun? Grab your pillows and teddy bears and attend the world’s largest pillow fight in Washington Square Park on April 6th. This is an international festival so there will be pillow fights across the world at different locations. Don’t feel like participating? Simply go and have a look, as it will definitely be entertaining. Visiting a museum is always a good idea. But a museum that also offers a rooftop bar with a magnificent view? Well, that’s even better. The Whitney Museum is your go-to museum this April. Tip to save cash: On Fridays, the museum offers Pay-What-You-Wish tickets at the admissions desk from 7-9:30 pm. We recommend enjoying the sunset from the rooftop bar while sipping a cocktail (or two), and then making your way through the museum. This April is all about flowers, with three highlights in the city. The first one? None other than then Brooklyn Botanic Garden. Stroll through the lush greenery, as you enjoy a touch of Japan while walking through a cherry blossom garden. People from all over the world come to visit this flower paradise during April, so make sure you don’t miss out on it! If you’re doing your first spring shopping this month, we definitely recommend stopping by Macy’s as well. If not for the clothes or make-up, do it for the flower show which covers the whole shopping center during April. It’s free, so be sure to check it out. Finally, for those who haven’t already visited the flower spectacle, this is your last call. April is the last month you can visit The Orchid Show in The Botanical Garden in New York. The exhibition is inspired by Singapore, where the orchid is the national flower. Besides day visits, you can also experience this magical flower festival at night. The Botanical Garden opens up to the public eight nights during April, so visitors can experience the flowers colorfully light up against the nighty sky. Hurry up on purchasing tickets, though: The exhibition ends on April 28th, and you won’t want to miss out! Since the weather is getting better, you can also have a picnic or enjoy a nice walk at the High Line – classic activities that never get old. Need some extra cash for all those activities? Exchange your old jewels or watches for cash at Provident Loan Society. 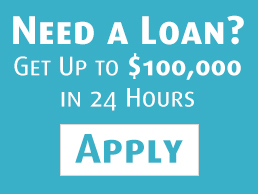 We offer instant cash loans up till $ 100 000 in exchange for collateral in the form of gold and diamond jewelry, silverware and fine watches.All you have to do is bring your collateral to one of the five offices throughout the city and in less than 20 minutes, you’ll walk out of the door with enough cash to attend all of your favorite activities this month. no thoughts on "6 Best Things To Do in New York City in April"